Fear, uncertainty, and self-doubts are all raw feelings of entrepreneur experience when they decide to start a business. It is scary but rightly so. Though if you try to imagine it, every successful entrepreneur was once a beginner. 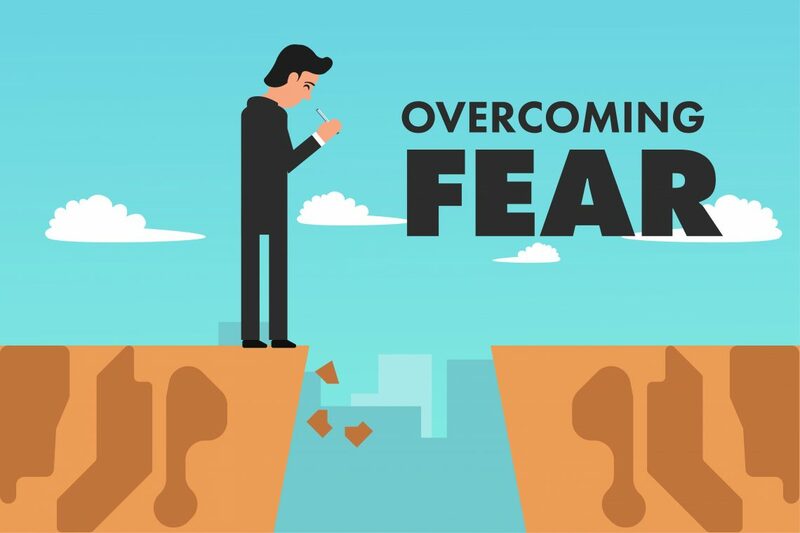 Check these 10 things entrepreneurs commonly fear and learn how to overcome each just like how they did. 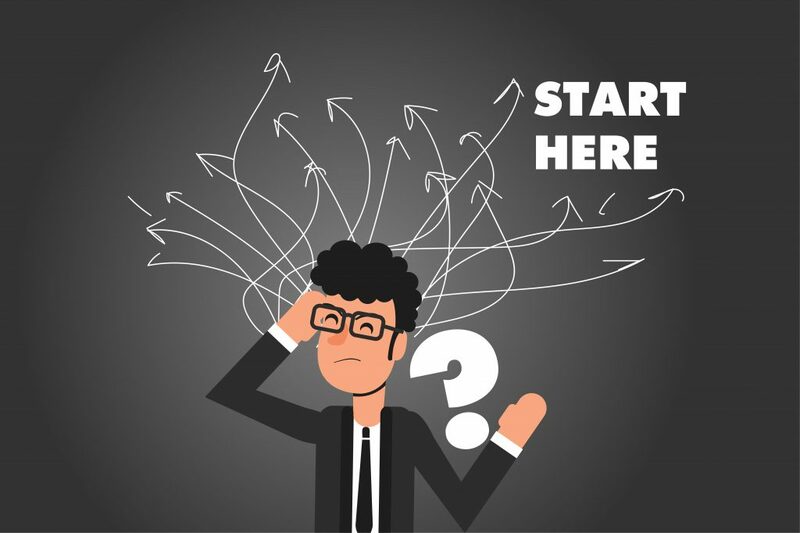 Most entrepreneurs don’t know where to begin. There are a lot of details to consider and processes to put in place when taking the first step to run a business. If there’s a trait entrepreneurs have in common, it’s the ability to set goals. Start out by identifying your overall company mission, and build a smaller, achievable task that would serve as stepping stones to reaching that mission. These small goals will give you a good indication of where you can actually begin. More importantly, you should have a space for your business and if you need one Cebu Seat leasing and office space Philippines are always available to provide you with complete office solutions. Celebrate each small goal you’ve achieved and take a step forward. The path where you’re hearing will eventually unfold as you walk one step at a time. You don’t need to know everything when starting a new business. As long as you know enough about your product and service to answer your customer’s questions and be able to solve issues that may arise. So don’t worry if you don’t feel a complete expert in the field yet because you’re just getting started. For the things you don’t know yet, you can find answers. There is no shame in continuing to learn. In fact, that’s a requirement for continued growth. Soon you will learn everything in the field and wear that expert label and commit yourself to excellence. People around you will think that you’re crazy to start your own business and they will be correct. The safe and rational thing to do about it is to never take a risk and work for someone else for the rest of your life. They might find you a bit crazy on stepping out on a limb but it is the right thing to do. Be an example of someone who believes in their own talents and convinces others to believe in them, too. Accept your craziness because that’s what makes you stand out among others. When you learn to appreciate your own craziness, you will later learn to appreciate that it’s the crazy ones who end up making a difference in this world. As an entrepreneur who planned to run his own business, it’s really risky because you might not make enough money to support and kick off your own business. Being a business owner would be an easy task if every person with an idea could waltz into a bank and receive a loan or attract an investor. But that’s being absurd, and entrepreneurs without investors must jump-start their businesses nonetheless. You can start out by focusing on the whys. Why does it matter? Because the specific actions you will take will vary depending on the outcome of you’re working toward. So if you want to start your own business and make it grow, you can start by looking for an answer to these whys. Don’t worry, even if you don’t have the necessary capital at first, you will soon learn that a slow and steady process of building your own business may be the best thing after all. When we start doing something new, we feel nervous because we are not quite sure of what will happen and if our plans don’t work. There will be a lot of questions that will run on our mind. Will I embarrass myself? Will I able to do it? What will others think of me? It’s the anxiety of facing something new. We will feel the fear of failure or mistakes and the fear of judgment from others. The thing is, even if you have inhibitions of how people will respond to your business because of your credentials, skin color, height or gender, shrug it off. Show up anyway and deliver an outstanding service. Professionalism is not based on appearance. People might be influenced by a physical appearance but no one can argue with a solid work ethic. Don’t mind and ignore those people who don’t believe in you because you are the one who is aware of your own capabilities, maybe at first no one believes in you but if you are able to deliver a good result at least once, people will begin to believe in you. It is truly terrifying to take the risk of offering your skills to the world with no guarantee if they will be valued. Especially in business. Just try to imagine, you give everything that you got and all the efforts you put into your business but still, the customers don’t appreciate it, it’s really devastating, isn’t it? In order to overcome that, you should approach your business with joy. Approach your customers with a smile and continue on delivering what you’ve promised to them, later on, you will experience a turn of the tide. But in the meantime, focus on working in your marketing plan, study and gain knowledge on how to increase your level of expertise. Be kind to yourself, because you’ve done something more than just needed. The rear side of enduring the dry spells of a new business is facing that you’re offering exactly what the world has been waiting for. Imagine that your business is booming and has never been higher and people keep coming back at you lined up with eagerness to see you. This notion might scare you and you might be afraid that maybe one day you won’t be able to handle the demands of running a successful business. Success is indeed one of the most exciting times for a new business. However, handling success is no easy task. It might lead to social criticism. Everyone fears that too much of the limelight, because it might end up alienating them from their peers. Being on top may be lonely but someone has to be there and lead the progress of humanity. If you are not properly prepared for the possible changes of a successful business things could go wrong and turn your dreams into nightmares. The challenges of success are very real, but you must handle it and hold onto it by understanding the cause of success and by keeping the customer experience. You might be scared that your new enterprise will not provide for your family and will just be an embarrassment, but did it ever cross your mind that your family needs this experience to grow closer together? Your family needs you to lean on them for support. Your family needs to see you that you are having fun on your way chasing your dreams. Speak to them and let them know that as you undertake this venture, you won’t sacrifice their safety or let them go hungry. Be open to them about the risks you’re taking and you will be taking and how important it is that you invest your time and energy into the success of this business. Prepare your family as best as you can and ask them to shoulder you with this journey. An entrepreneur is the one who organizes, manages, and operates a business taking on greater than financial risks. If you happen to invest in your business and didn’t meet the profit you expected, keep working. Don’t ever quit just because you didn’t earn enough profit at your first try, cause if you do you will never earn the profit. Remember that no one wants to suffer a loss of any kind, but don’t let your ego get in the way in making the right decision when the time comes. The best thing to do is to cut your losses and move on to the next deal. Review the decisions you made and think if you could have done anything differently. Would you have lost less if you had acted differently? Try to learn from the experience and previous decisions you made. Don’t take the loss personally and keep it in the context. Remember that the loss doesn’t define you, but it can make you a better investor if you handle it correctly. In your office space Philippines, if you discover that there is something wrong try to find out what it is before that something turns into everything. When a problem arises in business, it is much better to find and make a solution right away. 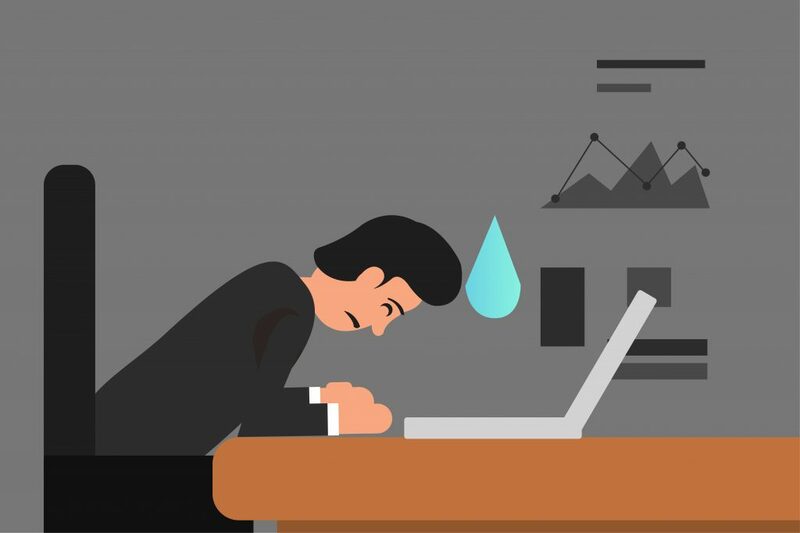 Do not pile your problem one after another because you might not be able to solve it anymore and worst is, it might be the reason that your business goes down. Do not leave a problem without solving it. As an entrepreneur, you must be alert and ready for whatever type of problem arises.